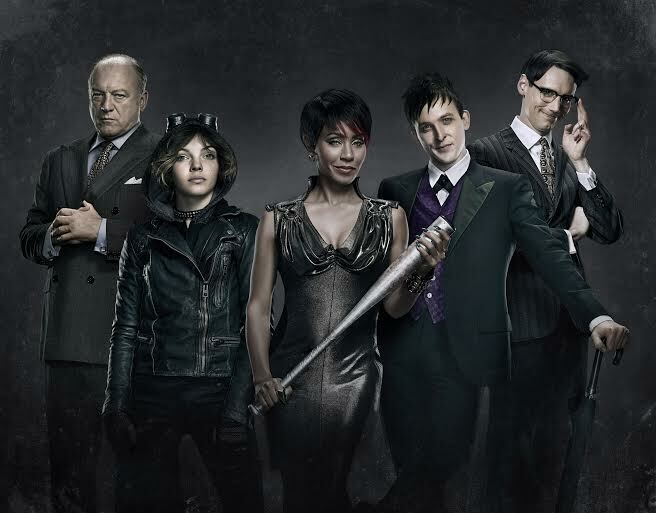 Of all the shows in this season’s fall lineup, the last one I expected to love was Gotham. But I do. I love it. And not because I am a Batman fan. And not because Jada Pinkett Smith is incredible. But because I think Gotham points us beyond the everyday superhero story to something about ourselves. If you are not familiar, Gotham is basically the back story of BruceWayne/Batman. In the first episode we meet the child Bruce Wayne at the moment he witnesses his parents being killed. It is as tragic and painful as it sounds. In all of these years watching the Batman movie franchise I had never connected how difficult that moment must have been for the Bruce Wayne character. I was hooked. Much of the show is seen through the eyes of a young James Gordon (played by Ben McKenzie and yes, this is the character who would become Police Commissioner Gordon). Here we find Gordon at the beginning of his career as a police officer. It is through him that we meet the young Bruce Wayne, devastated by the brutal murder of his parents. Gordon promises to find out who killed them and as he navigates the mire of the corrupt Gotham police force, you come to see just how difficult a promise that is to keep. And yet he perseveres, serving as an encourager and mentor to the young, not quite yet, Batman. I could go on for paragraphs about this show. 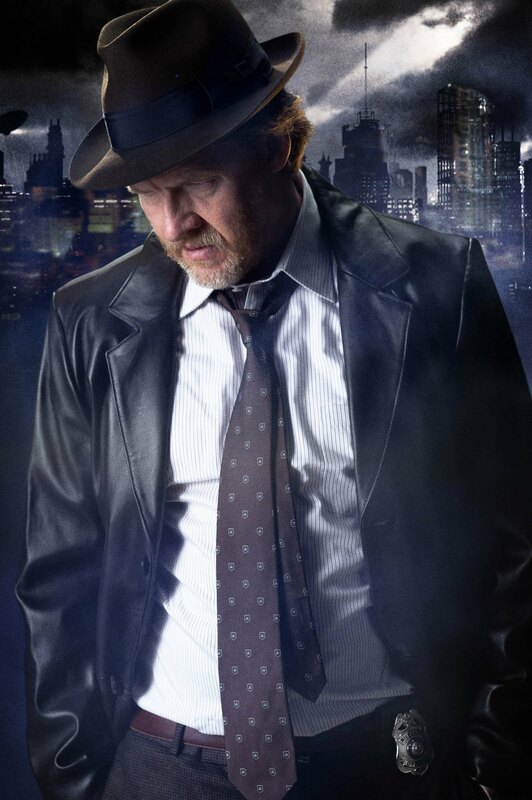 The actor Donal Logue (who plays Gordon’s sidekick Harvey Bullock) is one of my favorite actors on television right now. Considering he is a police officer, Bullock is well connected to the criminals, drunk at the worst possible times, and engagingly broken. And then there’s the visual aspect of the show. It is truly beautiful to watch. The camera angles and lighting echo Sin City in the best way. If you haven’t seen it already, you’ve got to check out this show. But the most compelling reason to watch Gotham is not about what it looks like or how entertaining these characters are. In fact, in some ways it’s not even about the Bruce Wayne come Batman character at all. The reason to watch Gotham is that it may remind you of yourself. At its essence, Gotham is a story about history. About who came before us. And about how that shapes so much of who we are. In my last year of seminary we had a speaker come to talk to us about something allegedly important. But all I can remember from his talk was him saying that young people didn’t care about their histories. They didn’t care who their great great grandfather was. Or what their ancestors did to make money. Or how many children their grandmother chose to have and why. This history was uninteresting to millennials. We were only interested in ourselves and, of course, Jesus (this was seminary, after all). Mind you, this was not meant to be a critique. The speaker himself was a young person. And I am certain he thought he was in the company of people who found that assertion relatable. But for me, it felt like a dismissal of all that my family had accomplished. At Yale Divinity School there were two kinds of people, those whose grandmothers went to college at 18 years of age and those whose grandmothers did not. I fell into the latter category. But I had always felt that my grandmothers (and frankly their grandmothers) had everything to do with me getting a graduate level education. “Would that I could forget those who came before me,” I remember thinking. Would that I could. Maybe the speaker was right. Maybe I am a bonified weirdo. But in my experience, where you are from and the people who raise you, has everything to do with who you are. Perhaps that is why I find the story of Gotham so compelling. The boy-child Bruce Wayne did not simply become Batman on his own accord. He experienced profound suffering. He came to know and be loved by people like James Gordon. He did not go it alone. The singular truth we know from the cross is that we did not arrive here on our own gumption. There are no bootstraps in Grace. Superhero or not, none of us earned this life. We know the history that lands us here. And it is full of relief for our wounded selves. And whether we like it or not, it is a history of body and blood and sacrificial love that beckons us all to remember where we came from. Sarah, Donal Logue is probably my all-time favorite TV actor and, sadly, a majority of the shows he is in, or ends up being in, get cancelled (Terriers, Life, to name a couple!). I have enjoyed this show as well and loved this write up. Reminds me of one of my favorite songs by my favorite band, Thrice, called “Beggars.” You might want to check it out, it speaks exactly to what you pulled out of this show! If you are not familiar with it, I highly recommend Gotham’s creator, Bruno Heller’s HBO series Rome. A lot of the grit and low anthropology that is at play in Gotham is beautifully realized in that series. When I heard Heller was taking this project on I had high hopes it would be in that tradition. It seems like that’s the direction it’s going, albeit more slylized and pulpy. Hopefully it will have a chance like Rome never did. That last paragraph is great! Especially the last sentence.